So many of you will know that I go a little crazy over the "holidays." I include halloween as a holiday too. Christmas is obviously like most, my favourite day of the year. I love everything about it, the scents, the vibe, the memories, the music, the films, you get the gist. But there is nothing I love more than decorating the christmas tree. We like to keep it very traditional, green tree and red, white and silver decorations. 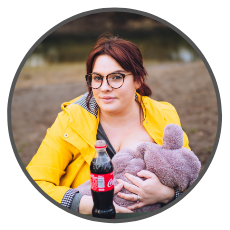 What I love the most is non tacky, personalised baubles and decorations. I'm a tree snob, and I dread the day my children decorate the tree themselves, and the magical Elves come and re-do it in the night because Santa has a particular way he likes trees to look. That works right. So I know it's only October and you're probably already sick of Christmas talk already, everyone and the shops go mad for christmas from September. Buble is already resurfacing and his christmas album has been played a few times already this year, as well as ELF has been shown on our TV a few times too, but I was approached by Danii who runs 'The pinstripe paper company' on Etsy and was asked if she could send me a glass bauble from her shop. I jumped at the chance obviously. 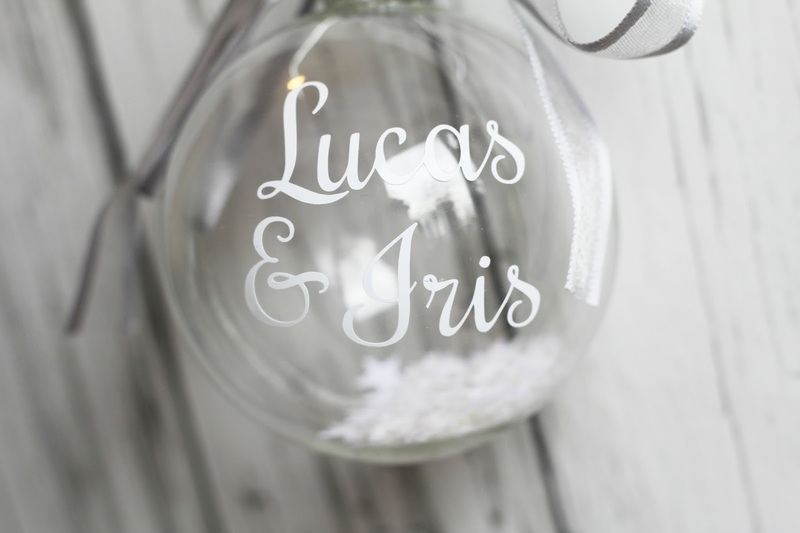 The bauble itself is glass, and it's the first personalised thing we've bought with Lucas & Iris' name on together. 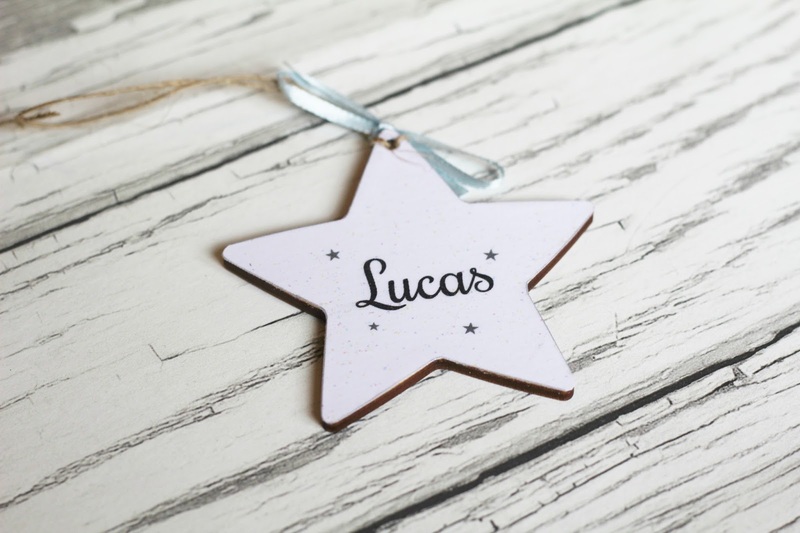 We chose silver ribbon and white writing as felt it would look beautiful and classy on our christmas tree and had it filled with white stars. It didn't disappoint on arrival either. It really is as beautiful as it looks in the pictures and I really cannot wait to get my tree up on December 1st and put it on there. 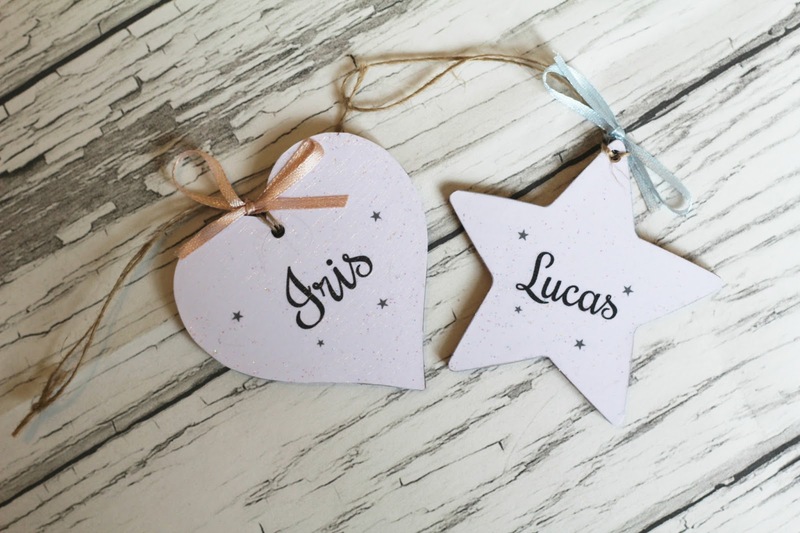 I loved it so much that I did purchase one from my friends little girl and chose pink ribbon and white writing for her's and filled hers with white stars too. I haven't photographed it as it's a gift and want to keep it private. Danii also sent two extra little thank you's and they're wonderful too, Lucas has been walking around saying "Ducas, star" and "Iris, heart". 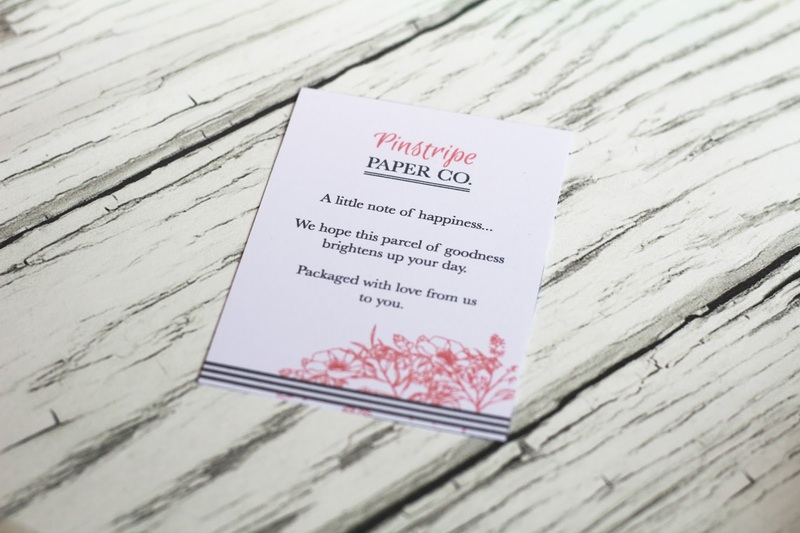 They are little wooden plaques, and the perfect size for the christmas tree too. I have one more decoration on order for Iris for her first christmas, and i'm just so over the moon with these items. 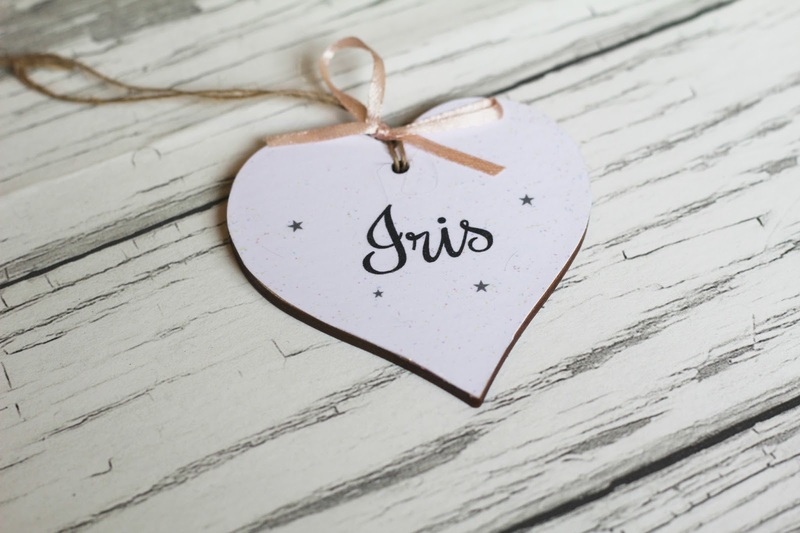 I find shop personalised items, cute but mostly tacky, and i'm rather overjoyed that were very unlikely to find Iris' name on any tacky items. 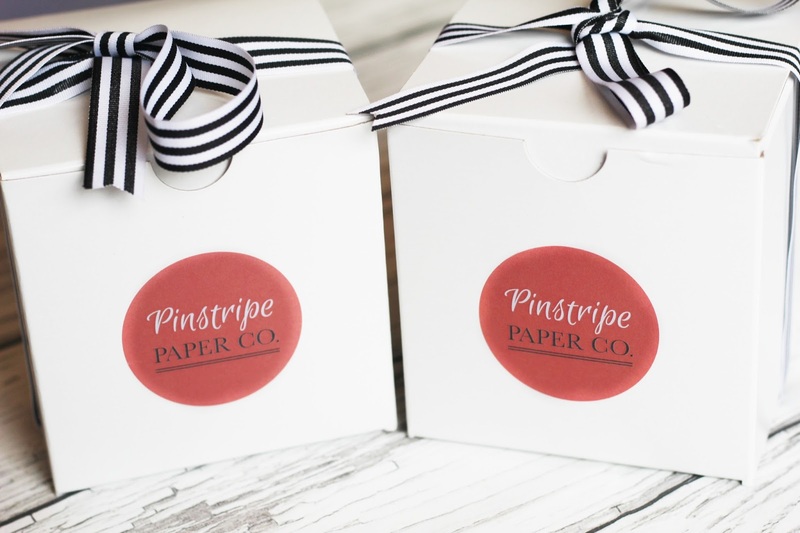 I also would much rather fund an independent shop on etsy or not on the high street too. So much thought, time and love has gone into making these items. 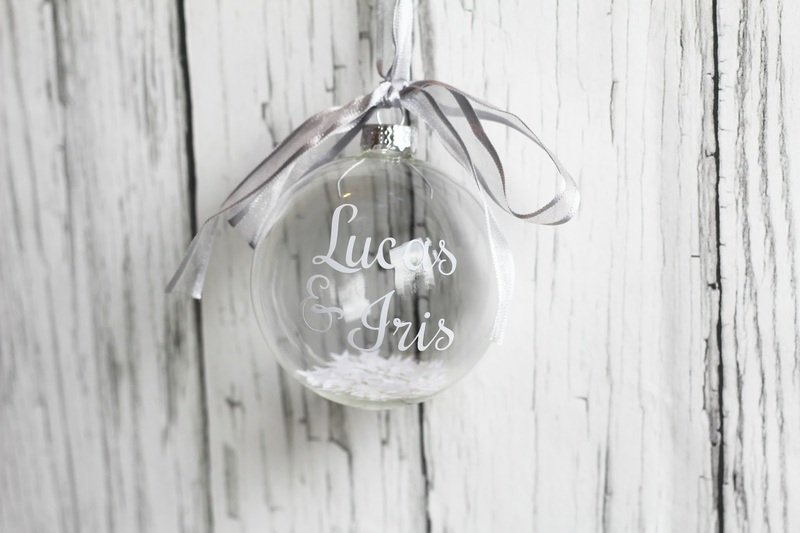 You can purchase and personalise a christmas bauble here. and can find the star (here) and heart (here). They really are lovely and I just can't wait until the beginning of December to turn our house into a grotto and start getting excited for a christmas with two children! Iris' first christmas. She may not have any idea what christmas is, but it's going to be special nonetheless.